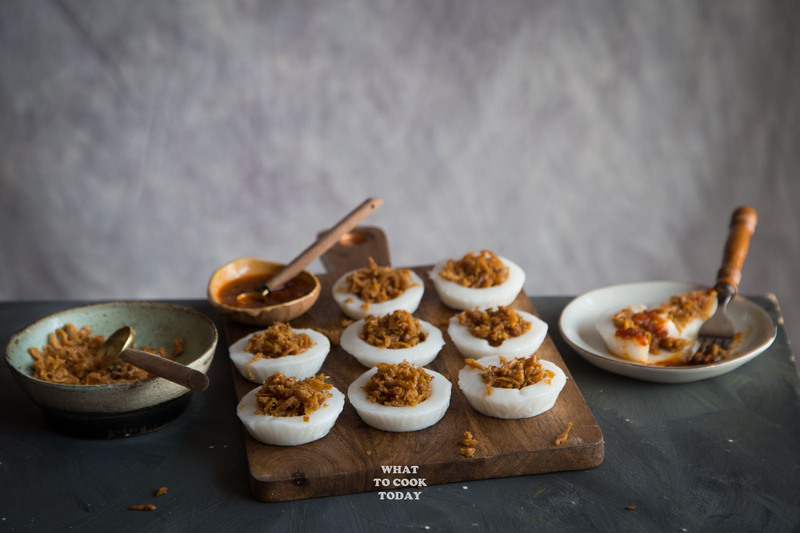 Chwee Kueh (Steamed Water Rice Cake with Preserved Turnip) – Learn how to make soft and bouncy steamed rice flour cake topped with sweet and savory chai poh (preserved turnip) toppings and served with spicy sambal sauce. 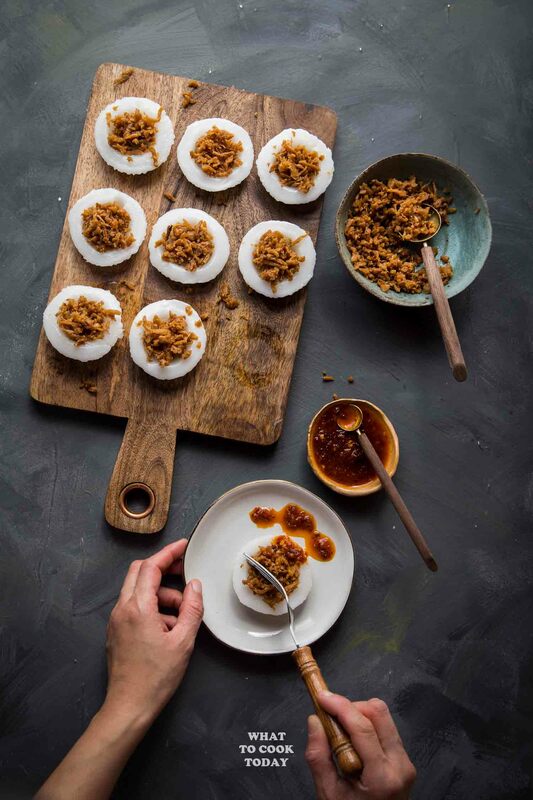 A popular breakfast food in Singapore. 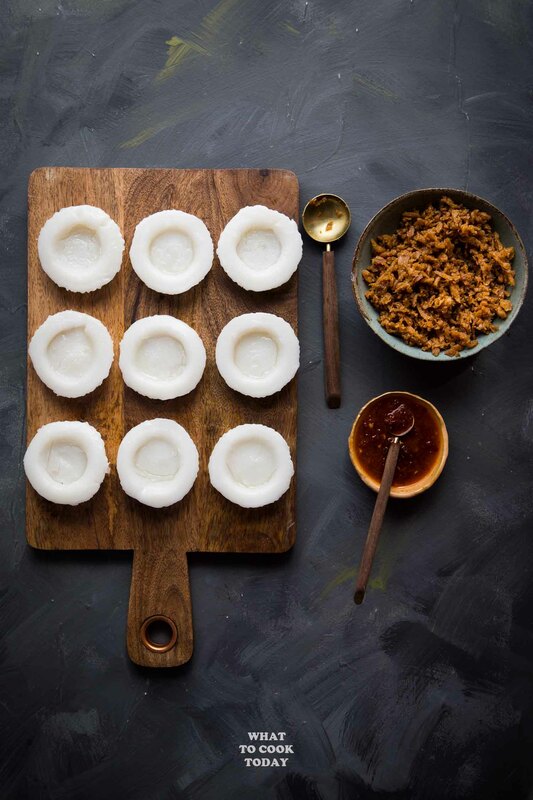 I came to know about this popular breakfast dish called Chwee Kueh (Steamed Water Rice Cake with Preserved Turnip) when I lived in Singapore for a short while. Chwee kueh or 水 粿 literally means “water cake” and hence in Hokkian dialect, they are called chwee, means water and kueh from Malay language means cake. 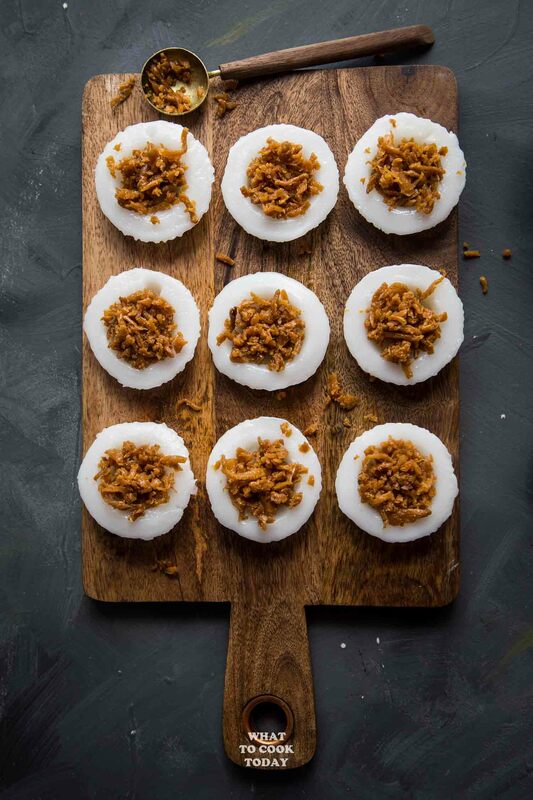 Chwee kueh is made of water, rice flour, tapioca flour, and salt. They were then steamed. The cake is almost pudding-like in texture. 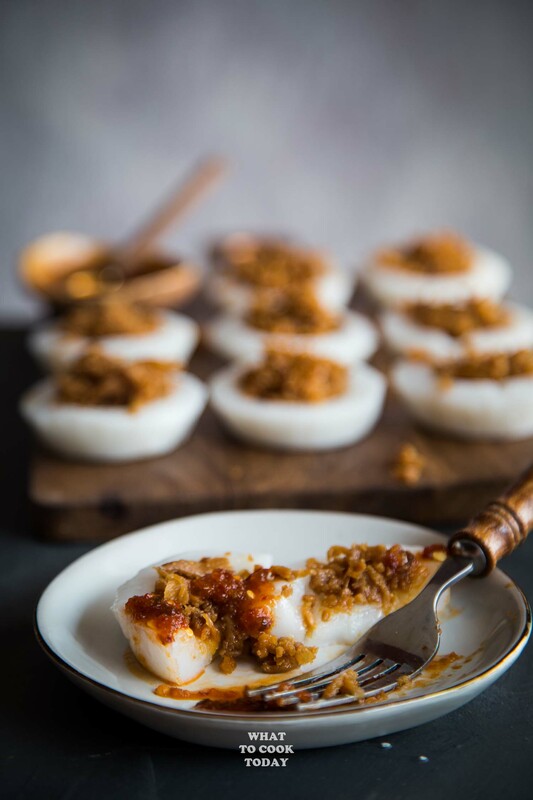 This cake has a “dimple” on top and usually top with savory and sweet chai poh topping and then served with sambal chili. WHY IS THERE DIMPLE IN THE MIDDLE OF CHWEE KUEH? 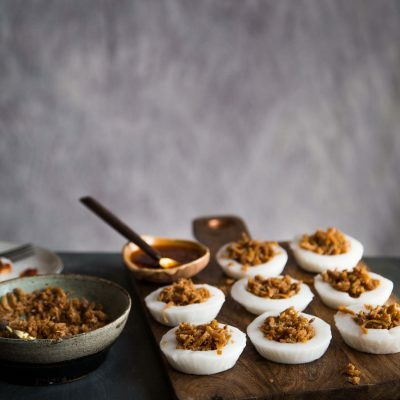 CAN I MAKE CHWEE KUEH WITHOUT SPECIAL CUPS? 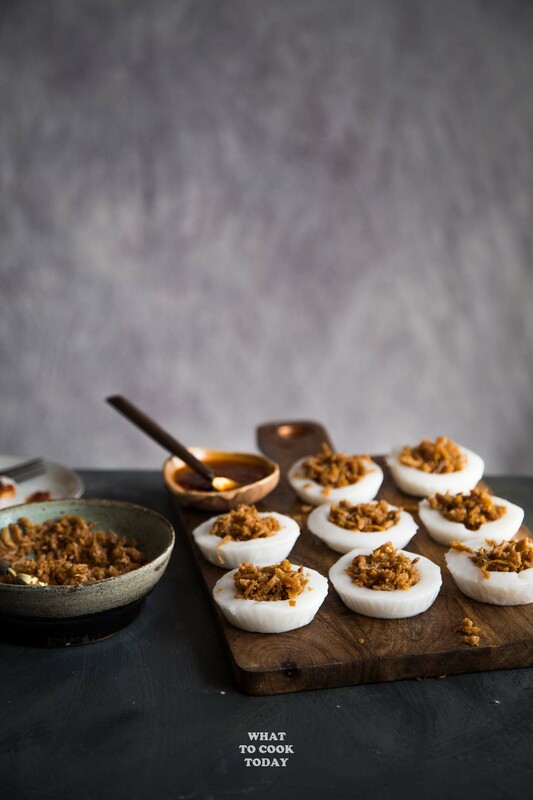 The traditional way of steaming chwee kueh is by using a shallow metal cups that is commonly found in Asia for steamed cake and this is especially for chwee kueh. I don’t have those cups. But fret not people. If you miss them so much and you are far away from home, you can still make chwee kueh using muffin cups 😉 They turn out perfect!!! I love using mini rubber spatula to unmould the cake instead of using toothpick. I feel like it makes my life so much easier, but do what best for you. 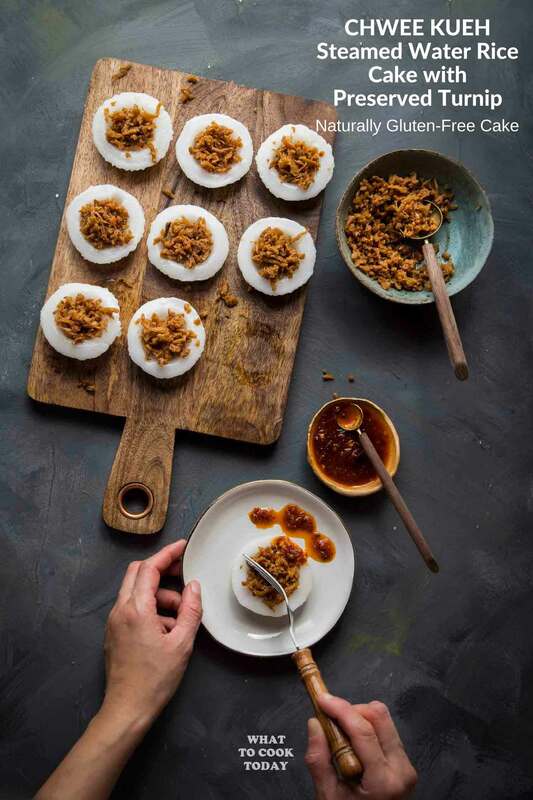 Soft and bouncy steamed rice flour cake is topped with sweet and savory chai poh (preserved turnip) toppings. 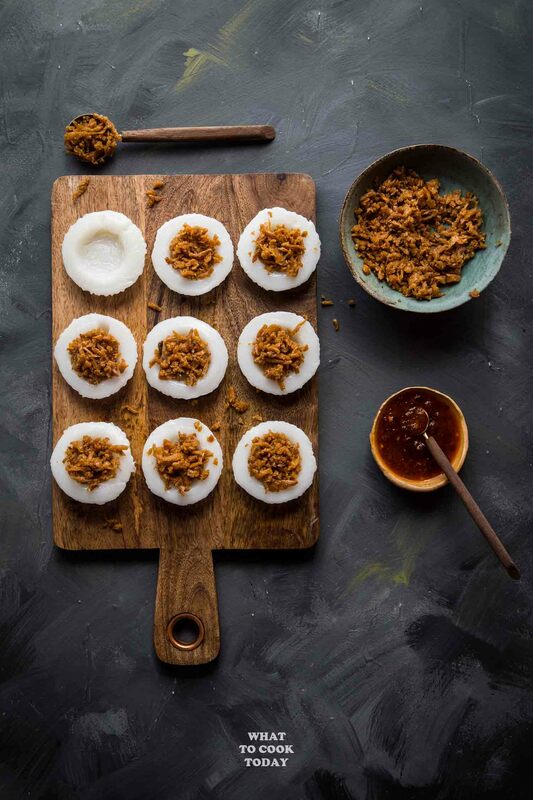 A popular breakfast food in Singapore. Hi Liyah, it should be 150 gm. Sorry, I’ve updated the recipe! Hi Marvellina. I am a Singaporean living in Vancouver. I tried your recipe and it is so easy to whip this up. Mine turned out a bit hard…will add a little bit more water next time. I love your recipe! 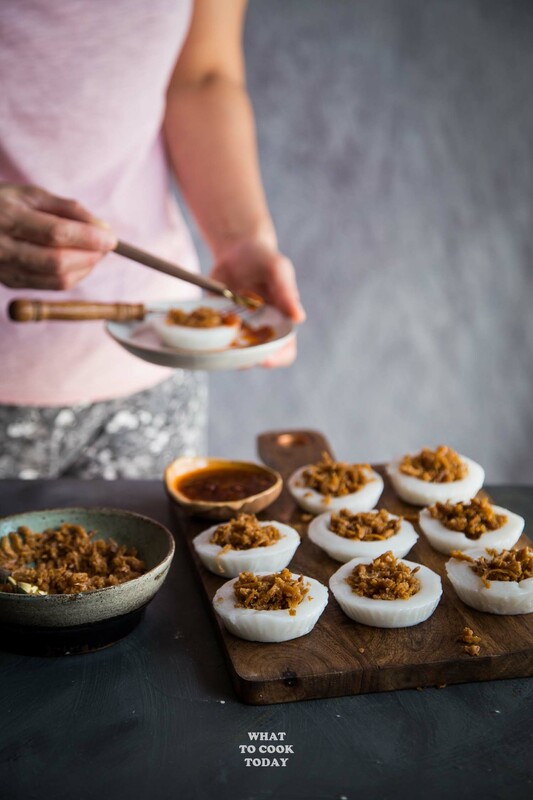 Thank you for sharing this quick easy chwee kueh recipe. Thank you for the recipe. 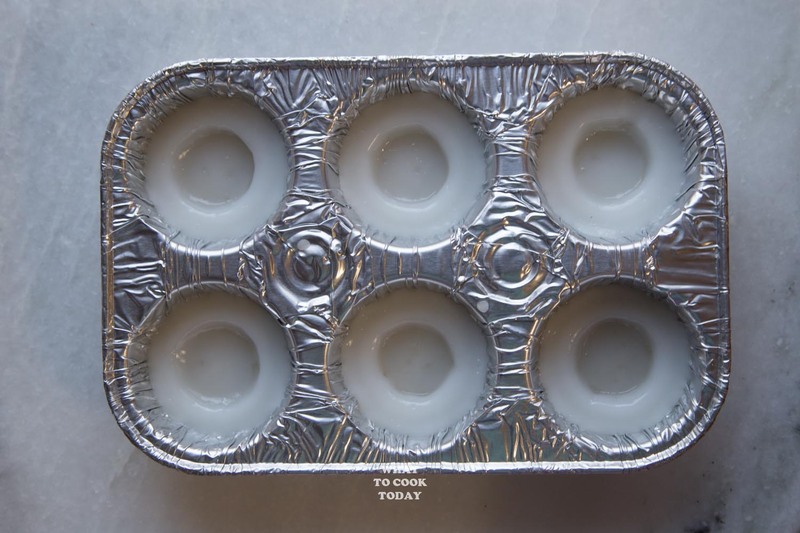 The muffin pan was a great tip .